Cherry Lee Westmoreland Perry was born to Fred and Lucille Sermon-Westmoreland on September 2, 1929. On March 23, 2019, she answered the Master’s call and ended a fruitful life. She attended Marion County Public Schools. She retired after 57 years of dedicated domestic service to J. D. & Billy Henry and Family. Many will remember her for her beautiful smile and her kind heart. She served many years as a deaconess in Zion Bethel Missionary Baptist Church. Cherry enjoyed life and always said her favorite saying “Let God work it out”. She loved her family and friends. Cherry was preceded in death by both her parents, Fred and Lucille Westmoreland; her husband, Freeman Perry, Sr.; two sons, Scofield and Freeman Perry, Jr.; one granddaughter, TyKeisha Perry; four sisters, Nellie, Florence, Eva and Sarah Westmoreland; one brother, Rufus Westmoreland. 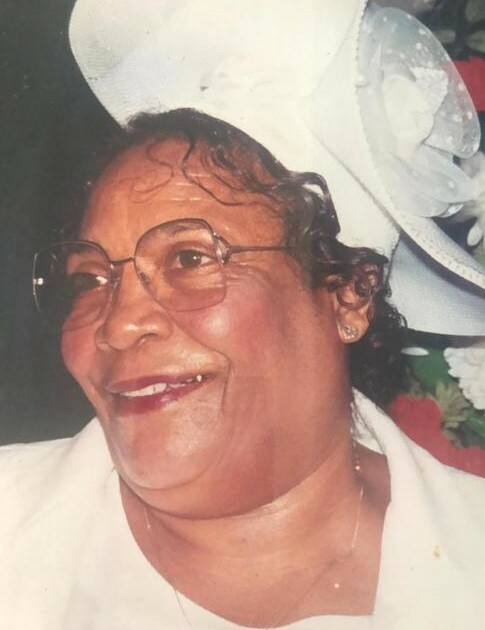 Those who will miss her dearly are her son, Clarence Perry of Palm Bay, FL; her lovely grandchildren: Shayla Perry, LaTwanjala Perry-Hightower and Camillia Perry; six great grandchildren; her devoted nieces and nephews; one sister in law, Mary Perry of Bronx, NY. She will be greatly missed by everyone who knew her. Funeral Services for Mrs Cherry Lee Westmoreland Perry will be on Saturday, March 30, 2019 at 11:00am at Zion Bethel Missionary Baptist Church, 21035 North US 441, McIntosh (Boardman), FL 32667.